Sunday featured the first day of racing at the 2019 Junior World Ski Championships in Lahti, Finland. 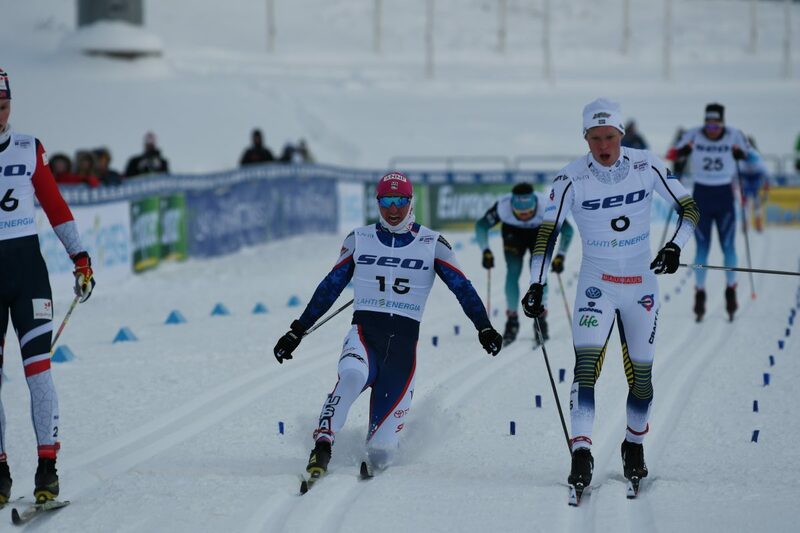 To kick things off at the crown jewel of Finnish ski venues was the U20 classic sprint. The men raced a 1.6-kilometer loop, the women a 1.4 k course. Several North American males qualified for the heats after Russia’s Alexander Terentev qualified first in a time of 3:28.74 minutes. For the U.S. all four athletes entered in the race advanced to the heats. Ben Ogden qualified in third (3:36.94), Gus Schumacher 12th (3:40.80), Noel Keeffe 15th (3:41.56), and Luke Jager 20th (3:42.27). 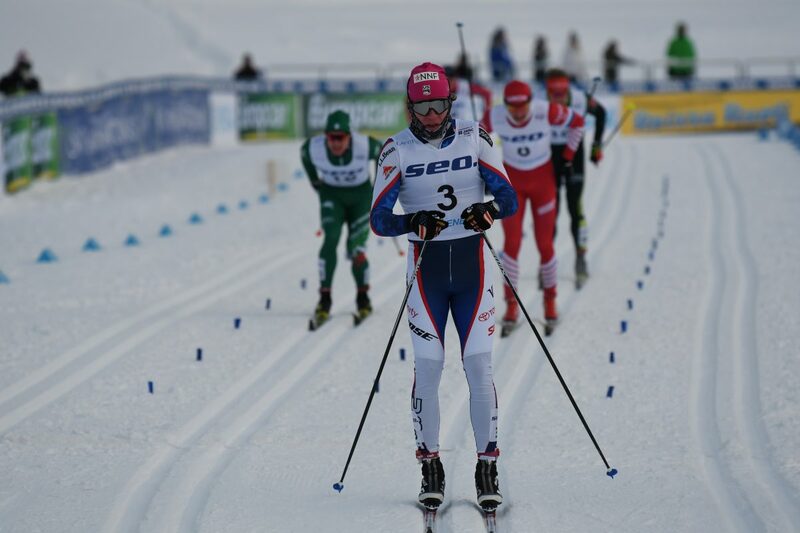 Remi Drolet of Canada qualified in 28th (3:44.98) and was the only one of his teammates to ski in the rounds. He was bounced after his fifth place in heat five. Drolet was 25th overall. Xavier McKeever skied to 52nd overall, Thomas Stephen 59th, and Pierrick Sarthou 67th. Ogden leaped to the semis by placing first in the fifth heat. Ogden exited the rounds after sprinting to fourth in the second semi. Ogden was the best placed North American finishing eighth overall. Keeffe advanced as a lucky loser to the semis after placing third in the second heat. He placed 12th overall after his sixth place in the first semi-final. Schumacher was bounced out of the heats after he placed fourth in heat four. He ended his day 16th overall. Jager’s 20th place overall rounded out the U.S. performances. Jager was eliminated when he placed fourth in the first quarterfinal. 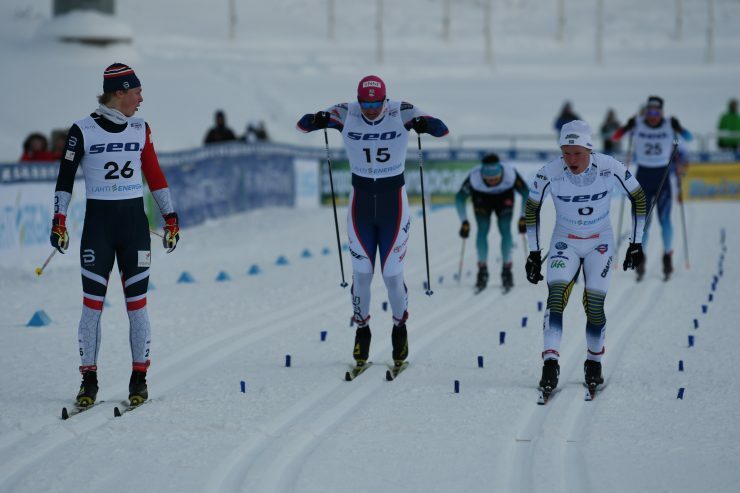 Coming in second overall to Terentev in the men’s final were Norwegians Ansgar Evensen and Håkon Skaanes in second and third respectively. Jules Chappaz of France was fourth, Sweden’s Axel Aflodal fifth, and Aron Åkre Rysstad sixth. U.S. skier Sydney Palmer-Leger was the only North American women to qualify for the heats. She placed 29th in qualification, skiing the 1.4 k course in 3:46.82 minutes. Sweden’s Frida Karlsson skied the fastest qualifying time of 3:27.32. Palmer-Leger was eliminated when she placed fifth in the fourth quarterfinal to end her day 25th overall. Also for the U.S., Mara McCollor was 43rd overall, Sophia Mazzoni 49th, and Waverly Gebhardt 51st. 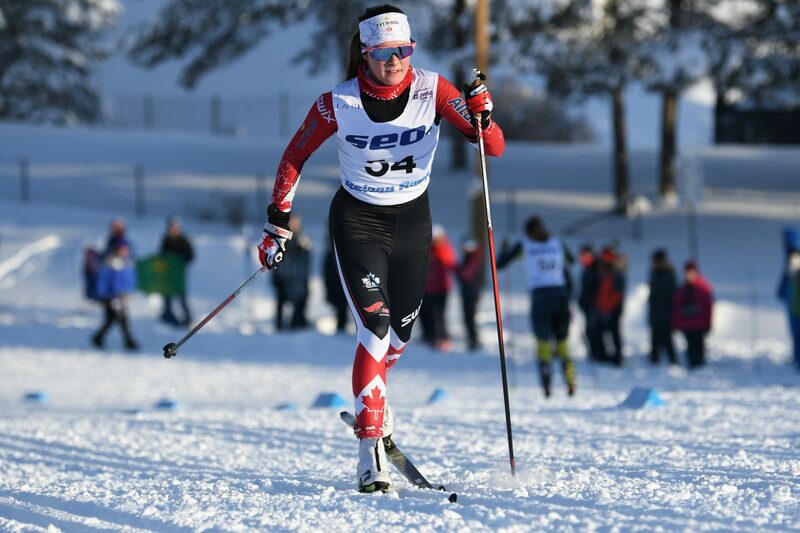 For Canada, Anna Pryce finished 42nd overall, Molly Miller 52nd, and Isobel Hendry 69th. Canada’s Anne-Marie Petitclerc did not finish as a result of breaking her binding moments after she started. Norway’s Kristine Stavaas Skistad was first overall. Poland’s Monika Skinder placed second in the final, with Finland’s Anita Korva third. Linn Svahn of Sweden placed fourth overall, while teammate Frida Karlsson was fifth. Russia’s Anastasiya Faleeva was sixth.